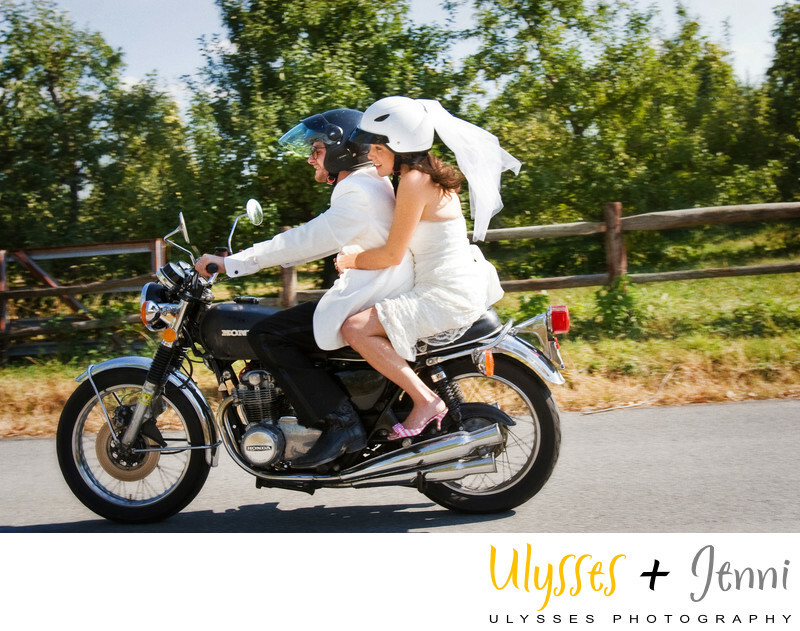 What better getaway could you make from your wedding than speeding away on a motorcycle? This couple put some serious forethought into their mode of transportation! The bride wore a helmet customized with a veil. It caught the breeze as they sped off! Her pink-striped shoes added a touch of whimsy and flair. They went off to their honeymoon on Peter Island, in the British Virgin Islands. Keywords: Caroline (3), Colonial (3), Diner (3), Jason (3), motorcycle (3), orchard (3), pie (3), Soons (3), wedding (528).